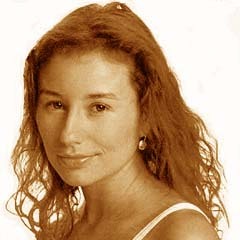 TORI AMOS: Preacher's kid gone bad! Tori Amos is probably my favorite rebellious rock and roll preacher's kid - give or take Alice Cooper, of course. Christianity as we know it was just never gonna hold either of these freakazoids. February 15, 2005 Here's a fairly extensive Billboard article on the occasion of the release of her new book, Tori Amos: Piece By Piece, and album The Beekeper.